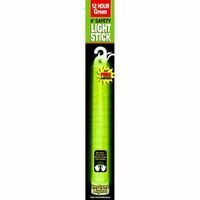 Ready America Light Stick, 12 hr Burning, Green Light, For During Blackouts, Roadside Emergencies, Disasters and Outdoor Recreation and as an Alternative to Fireworks Generous range of key variations. Use to secure storage tank caps, well covers, outdoor lockers, sheds, and other medium security places. Mechanism tolerances make warded locks a frequent choice where sand, ice, and other contaminants may jam other types of locks. Pair of nickel plated steel keys included. 105D has 1-1/8" wide case, 3/16" diameter shackle, and 1/2" horizontal shackle clearance. 22KA, 22D, and 22T have 1-1/2" wide case, 1/4" diameter shackle, and 9/16" horizontal shackle clearance. 10D has 1" wide case, 5/32" diameter shackle, and 13/32" horizontal shackle clearance. 9D and 9T have 3/4" wide case, 1/8" diameter shackle, and 1/4" horizontal shackle clearance. Bumper. Helps keep children out. Safe child resistant lock helps keep cabinets secure. Works on cabinets with handles or knobs. Security for basic applications. Three-number dialing with stainless steel outer case. Hardened steel shackle. Black dial. 1-7/8" wide case, 5/16" diameter shackle, and 7/8" horizontal shackle clearance. 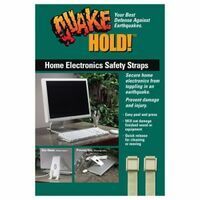 Increases child safety by covering electrical outlets when not in use by restricting access to live parts. Constructed of impact-resistant thermoplastic. UL Listed. Pin tumbler locking mechanisms and steel shackles to resist tampering. Brass bodies and cylinders resist corrosion. For storage cabinets, drawers, display and file cabinets, gun racks, luggage, and general security. Standard steel shackle. Two brass plated keys included. 3/4" wide case, 5/32" diameter shackle, and 1/4" horizontal shackle clearance. Stainless steel. Three number dialing. 2" wide case. Generous range of key variations. Use to secure storage tank caps, well covers, outdoor lockers, sheds, and other medium security places. Mechanism tolerances make warded locks a frequent choice where sand, ice, and other contaminants may jam other types of locks. Pair of nickel plated steel keys included. 105D has 1-1/8" wide case, 3/16" diameter shackle, and 1/2" horizontal shackle clearance. 22KA, 22D, and 22T have 1-1/2" wide case, 1/4" diameter shackle, and 9/16" horizontal shackle clearance. 10D has 1" wide case, 5/32" diameter shackle, and 13/32" horizontal shackle clearance. 9D and 9T have 3/4" wide case, 1/8" diameter shackle, and 1/4" horizontal shackle clearance. Bumper. Generous range of key variations. Use to secure storage tank caps, well covers, outdoor lockers, sheds, and other medium security places. Mechanism tolerances make warded locks a frequent choice where sand, ice, and other contaminants may jam other types of locks. Pair of nickel plated steel keys included. 105D has 1-1/8" wide case, 3/16" diameter shackle, and 1/2" horizontal shackle clearance. 22KA, 22D, and 22T have 1-1/2" wide case, 1/4" diameter shackle, and 9/16" horizontal shackle clearance. 10D has 1" wide case, 5/32" diameter shackle, and 13/32" horizontal shackle clearance. 9D and 9T have 3/4" wide case, 1/8" diameter shackle, and 1/4" horizontal shackle clearance. Bumper. Standard dial combination padlock features a 1-7/8? (48mm) wide metal body for durability, with a stainless steel cover. 9/32? (7mm) diameter shackle, ?? (19mm) long and made of hardened steel and 13/16" horizontal shackle clearance. Extra resistance to cutting and sawing. 3-digit combination offers keyless convenience. Locking mechanism features anti-shim technology, offering maximum security. For high security. Brass tumbler with hardened steel shackle. Two brass keys included. Yale Keyway. Parental access to knob for easier grip. Blends in with home d?cor. Installs easily on standard door knobs. Rust proof. Zinc plated finish, M2 keyway, with two brass keys with nickel plated finish. Masterlock keyway. Generous range of key variations. Use to secure storage tank caps, well covers, outdoor lockers, sheds, and other medium security places. Mechanism tolerances make warded locks a frequent choice where sand, ice, and other contaminants may jam other types of locks. Pair of nickel plated steel keys included. 105D has 1-1/8" wide case, 3/16" diameter shackle, and 1/2" horizontal shackle clearance. 22KA, 22D, and 22T have 1-1/2" wide case, 1/4" diameter shackle, and 9/16" horizontal shackle clearance. 10D has 1" wide case, 5/32" diameter shackle, and 13/32" horizontal shackle clearance. 9D and 9T have 3/4" wide case, 1/8" diameter shackle, and 1/4" horizontal shackle clearance. Bumper. Metal body is 13/16? (20mm) wide for durability. 3/8" horizontal shackle clearance and 1/8? (3mm) diameter shackle is 11/16? (17mm) long and made of steel, offering resistance to cutting and sawing. 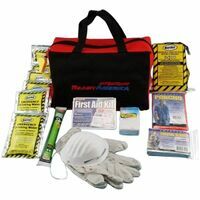 For luggage, briefcases, sports bags, backpacks, tool boxes, and cabinets. 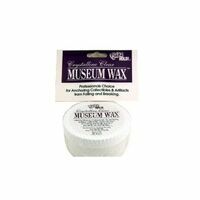 Ready America Museum Putty, Series: QuakeHold, 2.7 oz, Beige/Cream, Number of Mixing Steps, Temperature Range, Pressure Range, Resists, Includes Security for basic applications. Laminated steel case with 4-pin tumbler mechanism. Dual-locking system independently locks each shackle leg for added strength. Plastic bumper protects against marring and scratching. Hardened steel shackle. Two keys included. 1803 has 1-1/2" wide case, 1/4" diameter shackle, and 3/4" horizontal shackle clearance. 1805 has 2" wide case, 5/16" diameter shackle, and 1" horizontal shackle clearance. 1807 has 1-1/8" wide case, 3/16" diameter shackle, and 9/16" horizontal shackle clearance. Carded. Security for basic applications. Laminated steel case with 4-pin tumbler mechanism. Dual-locking system independently locks each shackle leg for added strength. Plastic bumper protects against marring and scratching. Hardened steel shackle. Two keys included. 1803 has 1-1/2" wide case, 1/4" diameter shackle, and 3/4" horizontal shackle clearance. 1805 has 2" wide case, 5/16" diameter shackle, and 1" horizontal shackle clearance. 1807 has 1-1/8" wide case, 3/16" diameter shackle, and 9/16" horizontal shackle clearance. Carded. 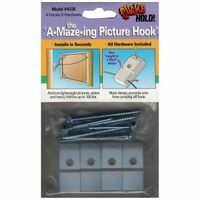 Ready America Picture Hook, Anti-Fall, Heavy Duty, 4 Pieces, Includes: (4) Hooks and Hardware, 100 lb Load Capacity, Steel, For Lightweight Items Pin tumbler locking mechanisms and chrome-hardened steel shackles to resist tampering. Brass bodies and cylinders resist corrosion. For storage cabinets, drawers, display and file cabinets, gun racks, luggage, and general security. Two brass plated keys included. 1-3/16" wide case, 3/16" diameter shackle, and 9/16" horizontal shackle clearance. Metal body is 1-3/16? (30mm) wide for durability. 3/8" horizontal shackle clearance and 3/16? (5mm) diameter shackle is 7/8? (22mm) long and made of steel, offering resistance to cutting and sawing. For luggage, briefcases, sports bags, backpacks, tool boxes, and cabinets. Secure press-and-pull lock helps keep appliances closed. Ideal for the freezer, refrigerator, microwave, and dishwasher. Ready America Furniture Cable, Anti-Tip, 1000 lb Capacity, Steel, Coated, 7 in Generous range of key variations. Use to secure storage tank caps, well covers, outdoor lockers, sheds, and other medium security places. Mechanism tolerances make warded locks a frequent choice where sand, ice, and other contaminants may jam other types of locks. Pair of nickel plated steel keys included. Has 1-3/4" wide case, 9/32" diameter shackle, and 13/16" horizontal shackle clearance. Bumper. 1-9/16" (40mm) Wide black vinyl covered body for scratch resistance. Made of corrosion resistant materials. Hardened steel shackle for extra cut resistance. 4-pin cylinder for added pick resistance. Matching colored key head for added convenience. Security for basic applications. Brass tumbler locking mechanism. Hardened steel shackle. Two keys included. 1-9/16" wide case, 1/4" diameter shackle, and 13/16" horizontal shackle clearance. Rust proof. Zinc plated finish, M2 keyway, with two brass keys with nickel plated finish. Masterlock keyway. Standard dial combination features a 1-7/8" wide metal body for durability, with a stainless steel cover. 9/32" diameter shackle made of hardened steel, offering extra resistance to cutting and sawing. 3-digit combination offers keyless convenience. The locking mechanism features anti-shim technology, offering maximum security. The bright blue dial color simplifies locker identification. For use on gym lockers, sports bags, bicycles, skateboards, snowboards and roller blades. Combination locking mechanism for keyless convenience. Flexible braided steel cable for strong cut resistance. Vinyl coating helps prevent scratching. 4'L x 5/16" (8mm) diameter cable. Generous range of key variations. Use to secure storage tank caps, well covers, outdoor lockers, sheds, and other medium security places. Mechanism tolerances make warded locks a frequent choice where sand, ice, and other contaminants may jam other types of locks. Pair of nickel plated steel keys included. 105D has 1-1/8" wide case, 3/16" diameter shackle, and 1/2" horizontal shackle clearance. 22KA, 22D, and 22T have 1-1/2" wide case, 1/4" diameter shackle, and 9/16" horizontal shackle clearance. 10D has 1" wide case, 5/32" diameter shackle, and 13/32" horizontal shackle clearance. 9D and 9T have 3/4" wide case, 1/8" diameter shackle, and 1/4" horizontal shackle clearance. Bumper. Pin tumbler locking mechanisms and chrome-hardened steel shackles to resist tampering. Brass bodies and cylinders resist corrosion. For storage cabinets, drawers, display and file cabinets, gun racks, luggage, and general security. Two brass plated keys included. 1-9/16" wide case, 1/4" diameter shackle, and 13/16" horizontal shackle clearance. Pin tumbler locking mechanisms and steel shackles to resist tampering. Brass bodies and cylinders resist corrosion. For storage cabinets, drawers, display and file cabinets, gun racks, luggage, and general security. Standard steel shackle. Two brass plated keys included. 3/4" wide case, 5/32" diameter shackle, and 1/4" horizontal shackle clearance. Solid metal body is 1-3/16? (30mm) wide. The 3/16? (5mm) diameter shackle is 1? (25mm) long and made of nickel plated steel, offering resistance to cutting and sawing. Flexible multi-stranded. When released, cable automatically retracts into neat, compact 3" coil. 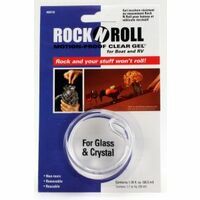 Coated to 1/4" diameter with protective clear vinyl to help prevent scratching or marring. Generous sized end loops securely fastened by wedged clamps designed for over 2,500 pounds pull strength. Rust proof. Nickel plated. Two brass keys included. Masterlock Keyway. Rust proof. Nickel plated. Two brass keys included. Masterlock Keyway. Ratcheting action and adjustable, removable 13/16? horizontal shackle clearance. Multi-spring locking mechanism. Two brass keys included. Perfect for bikes. Set-your-own combination using 3 letters, numbers or a mix of both. Operates with familiar right-left-right combination lock movement. Reset tool included. Anti-shim technology. 1-15/16" (49mm) wide metal body with hardened steel shackle. High precision dial "clicks" for accurate dialing. 1/4" diameter shackle and 13/16" horizontal shackle clearance. Available in pink, blue, black, and green. Bright metallic colors simplify locker identification. Aluminum cover with durable anodized finish. Combination security for keyless convenience. 3-digit dialing. 1-7/8" (48mm) wide metal body. Hardened steel shackle for extra cut resistance. Available in 4-colors. Each package contains one lock. 1-9/16" (40mm) Wide pink vinyl covered body for scratch resistance. Made of corrosion resistant materials . Hardened steel shackle for extra cut resistance. 4-pin cylinder for added pick resistance. Matching colored key head for added convenience. Rust proof. Zinc plated finish, M2 keyway, with two brass keys with nickel plated finish. Masterlock keyway. Security for basic applications. Laminated steel case with 4-pin tumbler mechanism. Dual-locking system independently locks each shackle leg for added strength. Plastic bumper protects against marring and scratching. Hardened steel shackle. Two keys included. 1803 has 1-1/2" wide case, 1/4" diameter shackle, and 3/4" horizontal shackle clearance. 1805 has 2" wide case, 5/16" diameter shackle, and 1" horizontal shackle clearance. 1807 has 1-1/8" wide case, 3/16" diameter shackle, and 9/16" horizontal shackle clearance. Carded. Removable adjustable length shackle adjusts from 2-3/4'' (7cm) to 5-3/8'' (14cm). Provides maximum application flexibility. 1-3/4'' (44mm) wide laminated steel body for superior strength. Steel shackle provides strong cut resistance. Single locking lever. Warded locking mechanism minimizes jamming from dirt and grime. 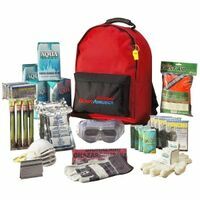 Ideal for backpacks, duffel bags, sports bags, briefcases, bags, cabinets, tackle boxes etc. Laminated steel body for superior strength. Standard steel shackle. 4-pin cylinder prevents picking. Minimal clearance prevents prying. Proprietary rustproofing for longer life. 1-1/8" wide case, 3/16" diameter shackle, and 1/2" wide horizontal shackle clearance. Metal body is 13/16? (20mm) wide for durability. 3/8" horizontal shackle clearance and 1/8? (3mm) diameter shackle is 11/16? (17mm) long and made of steel, offering resistance to cutting and sawing. For luggage, briefcases, sports bags, backpacks, tool boxes, and cabinets. For high security. Brass tumbler with hardened steel shackle. Two brass keys included. 2" long shackle. 1-7/8" (48mm) wide metal body. Bright metallic colors simplify locker identification. Aluminum cover with durable anodized finish. 3-digit dialing. Same combination opens both locks. For high security. Brass tumbler with hardened steel shackle. Two brass keys included. Yale Keyway. Allows TSA screeners to inspect and relock baggage without damaging the lock. Unique flexible cable resists abuse from baggage handling equipment. 3 dial, set-your-own combination convenience. Matching lock and cable coordinate with popular baggage colors. Bright colors simply baggage identification. 1-1/8" (29mm) wide durable metal body. Available in 4 colors. Each package contains one lock. 3-dial combination convenience, sturdy metal construction and side window for easy viewing. Nickel finish. Transportation Security Approved lock designed with a security feature, which allows airport security agents to open the lock. Travel Sentry-logo on lock indicates to TSA screeners that they can use a secure set of codes and tools to unlock, inspect and relock traveler's baggage without damaging the lock. TSA guarantees replacement of the lock if screeners cut the lock. 1-1/4" wide case, 1/8" diameter shackle, and 1/2" horizontal shackle clearance. Rounded bumpers soften sharp corners. Fits tables, counters and other home furniture. Fast, simple installation. Easy to remove. Helps shield children from direct sunlight while on the road. Clip to window or attach with suction cups. Automatic roll button for quick storage. Blocks up to 85% of UVA and UVB rays. Crash tested. Set your own combination with interchangeable, removable dials offer over 25 million personalized combinations. For indoor storage lockers, bikes and cabinets. Features: 2-1/2? (64mm) wide metal body for strength and durability. 1/4" (6mm) diameter shackle, 1-1/8? (29mm) long, made of hardened steel, offering extra resistance to cutting and sawing. Soft touch dials with 2 grip points provide no-slip grip and keyless convenience. Each package contains one lock. Assorted Colors. Rust proof. Nickel plated. Two brass keys included. Masterlock Keyway. Allows TSA screeners to inspect and relock baggage without damaging the lock. Convenient front access keyway. Bright colors simply baggage identification. 1" (25mm) wide durable metal body. Keyed alike - same key opens both locks. Available in 4 colors. Each package contains two locks. 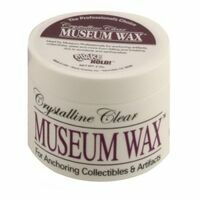 Ready America Museum Wax, Series: QuakeHold, 4 oz, Crystalline, Clear, Number of Mixing Steps, Temperature Range, Pressure Range, Resists, Includes Laminated steel body, which stands up to physical abuse for protection against theft. Plated to resist rust and corrosion. For outdoor and indoor storage cabinets, tool boxes, sheds, gates, etc. Dual locking hardened steel shackle. Pair of brass keys included. 1-9/16" (40mm) wide case, 9/32" diameter shackle, and 5/8" wide horizontal shackle clearance. Security for basic applications. Laminated steel case with 4-pin tumbler mechanism. Dual-locking system independently locks each shackle leg for added strength. Plastic bumper protects against marring and scratching. Hardened steel shackle. Two keys included. 1803 has 1-1/2" wide case, 1/4" diameter shackle, and 3/4" horizontal shackle clearance. 1805 has 2" wide case, 5/16" diameter shackle, and 1" horizontal shackle clearance. 1807 has 1-1/8" wide case, 3/16" diameter shackle, and 9/16" horizontal shackle clearance. Carded. Opens on up/down/left/right directional movements. Features anti-shim technology. Combination can be reset to any number of movements in any sequence. 2-1/8" (51mm) wide metal body. Matching passcode indicators (letters, numbers, colors, shapes, symbols) are included for added customization; simply apply over arrows. Hardened steel shackle for increased bolt cutter protection. 1/4" diameter shackle and 3/4" horizontal shackle clearance. Available in red, blue, black/green, and black/silver. Rust proof. Zinc plated finish, M2 keyway, with two brass keys with nickel plated finish. Masterlock keyway. 14? (35cm) Long x .22? Diameter (5.6mm) Braided steel cable gun lock with 1-1/8? (29 mm) Wide laminated steel padlock. Laminated steel body, which stands up to physical abuse for protection against theft. Plated to resist rust and corrosion. For outdoor and indoor storage cabinets, tool boxes, sheds, gates, etc. Dual locking hardened steel shackle. Pair of brass keys included. 1-9/16" (40mm) wide case, 9/32" diameter shackle, and 5/8" wide horizontal shackle clearance. Pin tumbler locking mechanisms and steel shackles to resist tampering. Brass bodies and cylinders resist corrosion. For storage cabinets, drawers, display and file cabinets, gun racks, luggage, and general security. Standard steel shackle. Two brass plated keys included. 3/4" wide case, 5/32" diameter shackle, and 1/4" horizontal shackle clearance. Laminated steel body for superior strength. Standard steel shackle. 4-pin cylinder prevents picking. Minimal clearance prevents prying. Proprietary rustproofing for longer life. 1-1/8" wide case, 3/16" diameter shackle, and 1/2" wide horizontal shackle clearance. Pin tumbler locking mechanisms and chrome-hardened steel shackles to resist tampering. Brass bodies and cylinders resist corrosion. For storage cabinets, drawers, display and file cabinets, gun racks, luggage, and general security. Two brass plated keys included. 150 has 2" wide case, 9/32" diameter shackle, and 1" horizontal shackle clearance. 160 has 2-3/8" wide case, 11/32" diameter shackle, and 1-1/4" horizontal shackle clearance. Precision cylinder protection, thousands of key changes, tough, laminated, cadmium rustproof steel case; nickel-plated shackle. Removable key- change number for added security. Pair of brass keys included with every lock. Case-hardened steel shackle. Exclusive dual steel locking levers independently lock each shackle leg for increased protection. Patented taper assures smooth vertical shackle movement and precise engagement of locking levers. Proprietary rustproofing for longer life. 1-3/4" wide case, 5/16" diameter shackle, and 3/4" wide horizontal shackle clearance. Laminated steel case with bumper. Chrome plated shackle. Lock body and shackle guaranteed not to rust. Dual steel levers lock both sides of case-hardened. Two nickel plated steel keys with covered key heads included. "Rustoleum" finish for lifetime rust protection. 1-9/16" wide case, 9/32" diameter shackle, and 5/8" horizontal shackle clearance. Carded. UP (Universal Pin) padlocks for in store keying convenience. UP series locks are pinned on site to match customer's original key and do NOT come with keys. Use No. 376 Universal Pin Keying Tool for Keying, Must be Ordered Separately Orgill SKU#6596365. Universal Pin padlocks for keying convenience. Operate with same key as Master Lock Padlocks (Nos.1-6). Laminated steel bodies for superior strength. Hardened steel (Nos.1 and 3) hardened boron alloy (No.5) shackles. 4-pin tumbler cylinders helps prevent picking. 1UP and 1UPLJ have 1-3/4" wide case, 5/16" diameter shackle, and 3/4" horizontal shackle clearance. 3UP and 3UPLF have 1-9/16" wide case, 9/32" diameter shackle, and 15/16" horizontal shackle clearance. 5UP and 5UPLF have 2" wide case, 3/8" diameter shackle, and 15/16" wide horizontal shackle clearance. Laminated steel body, which stands up to physical abuse for protection against theft. Plated to resist rust and corrosion. For outdoor and indoor storage cabinets, tool boxes, sheds, gates, etc. Dual locking hardened steel shackle. Pair of brass keys included. 1-9/16" (40mm) wide case, 9/32" diameter shackle, and 5/8" wide horizontal shackle clearance. Laminated steel body, which stands up to physical abuse for protection against theft. Plated to resist rust and corrosion. For outdoor and indoor storage cabinets, tool boxes, sheds, gates, etc. Dual locking hardened steel shackle. Pair of brass keys included. 1-9/16" (40mm) wide case, 9/32" diameter shackle, and 5/8" wide horizontal shackle clearance. Laminated steel body for superior strength. Standard steel shackle. 4-pin cylinder prevents picking. Minimal clearance prevents prying. Proprietary rustproofing for longer life. 1-1/8" wide case, 3/16" diameter shackle, and 1/2" wide horizontal shackle clearance. Laminated steel body for superior strength. Standard steel shackle. 4-pin cylinder prevents picking. Minimal clearance prevents prying. Proprietary rustproofing for longer life. 1-1/8" wide case, 3/16" diameter shackle, and 1/2" wide horizontal shackle clearance. Laminated steel body, which stands up to physical abuse for protection against theft. Plated to resist rust and corrosion. For outdoor and indoor storage cabinets, tool boxes, sheds, gates, etc. Dual locking hardened steel shackle. Pair of brass keys included. 1-9/16" (40mm) wide case, 9/32" diameter shackle, and 5/8" wide horizontal shackle clearance. "Tough-Cut" octagonal boron-carbide shackle. Dual ball bearing locking for maximum pry resistance. "Dual-Armor" protection: laminated steel core for strength, stainless steel and zinc outer components for weather resistance. Chisel resistant recessed rivets. Reinforced body bumper for scratch resistance. 1-3/4" wide case, 5/16" shackle diameter, and 13/16" horizontal shackle clearance. Carded. Braided steel wires for strength and flexibility. Galvanized steel cable resists rusting. Convenient loops with rust resistant sleeves and scratch guards. Vinyl coating helps prevent scratching. Use with laminated locks, solid steel locks and mini U-locks. 3/8" diameter cable. 1-3/16? (30mm) wide black vinyl covered body for scratch and corrosion resistance. 3/16? (5mm) diameter shackle is 5/8in (16mm) long and made of hardened steel, offering extra resistance to cutting and sawing. The 4-pin cylinder prevents picking and the dual locking levers provide resistance against prying and hammering. Rust proof. Stand shackle. Nickel plated. Two brass keys included. Masterlock key way. Twin pack. Pin tumbler locking mechanisms and chrome-hardened steel shackles to resist tampering. Brass bodies and cylinders resist corrosion. For storage cabinets, drawers, display and file cabinets, gun racks, luggage, and general security. Two brass plated keys included. 1-9/16" wide case, 1/4" diameter shackle, and 13/16" horizontal shackle clearance. "Tough-Cut" octagonal boron-carbide shackle. Dual ball bearing locking for maximum pry resistance. "Dual-Armor" protection: laminated steel core for strength, stainless steel and zinc outer components for weather resistance. Chisel resistant recessed rivets. Reinforced body bumper for scratch resistance. 1-3/4" wide case, 5/16" shackle diameter, and 13/16" horizontal shackle clearance. Carded. 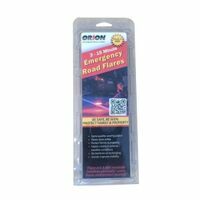 Ready America Road Flare, High Visibility, 15 min Burning Detects lead on most surfaces within 30 seconds. EPA recognized on drywall and plaster. Crush, shake and swab. ?Red Means Lead?. Test confirmation card to verify results in every kit. Non-toxic, odorless, disposable and non-staining. "Tough-Cut" octagonal boron-carbide shackle. Dual ball bearing locking for maximum pry resistance. "Dual-Armor" protection: laminated steel core for strength, stainless steel and zinc outer components for weather resistance. Chisel resistant recessed rivets. Reinforced body bumper for scratch resistance. 2" wide case, 3/8" shackle diameter, and 30/32" horizontal shackle clearance. Carded. Precision cylinder protection, thousands of key changes, tough, laminated, cadmium rustproof steel case; nickel-plated shackle. Removable key- change number for added security. Pair of brass keys included with every lock. Case-hardened steel shackle. Exclusive dual steel locking levers independently lock each shackle leg for increased protection. Patented taper assures smooth vertical shackle movement and precise engagement of locking levers. Proprietary rustproofing for longer life. 1-3/4" wide case, 5/16" diameter shackle, and 3/4" wide horizontal shackle clearance. TSA-accepted luggage lock. Ideal for air travel. Plastic cover with matching keyheads for added convenience. Bright color provides easy luggage identification. 1-1/4" wide case, 3/32" diameter shackle, and 7/16" horizontal shackle clearance. For high security. Brass tumbler with hardened steel shackle. Two brass keys included. Yale Keyway. Four No. 22 padlocks. Improved multi-spring locking mechanism; self-locking steel shackle. Rustproofed for extended wear. Warded locking mechanism minimizes jamming from dirt and grime. Set includes 2 matched keys. 1-1/2" wide case, 1/4" diameter shackle, and 9/16" horizontal shackle clearance. 1-3/16? (30mm) Wide pink vinyl covered body for scratch resistance. Made of corrosion resistant materials. Hardened steel shackle for extra cut resistance. 4-pin cylinder for added pick resistance. Matching colored key head for added convenience. Keyed Alike - same key opens both locks. 1-9/16" (40mm) wide metal body. Bright metallic colors simplify locker identification. Aluminum cover with durable anodized finish. 3-digit dialing. Same combination opens all three locks. Extra security, extra strong, fully shrouded body for additional pry and cut resistance. Steel shackle. Laminated steel body for superior strength. Two nickel plated keys included. Keyheads are covered. 1DEX has 1-3/4" wide case, 5/16" diameter shackle, and 25/32" horizontal shackle clearance. 3DEX has 1-9/16" wide case, 9/32" diameter shackle, and 5/8" horizontal shackle clearance. Black finish. 1-9/16" (40mm) Wide black vinyl covered body for scratch resistance. Made of corrosion resistant materials. Hardened steel shackle for extra cut resistance. 4-pin cylinder for added pick resistance. Matching colored key head for added convenience. Pin tumbler locking mechanisms and chrome-hardened steel shackles to resist tampering. Brass bodies and cylinders resist corrosion. For storage cabinets, drawers, display and file cabinets, gun racks, luggage, and general security. Two brass plated keys included. 1-9/16" wide case, 1/4" diameter shackle, and 13/16" horizontal shackle clearance. Set-your-own password combination convenience. Use letters to create a memorable word combination. 1-9/16" (40mm) wide solid metal body withstands abuse. 1/4" shackle diameter. Assorted colors: Purple, Blue, Black, and Silver. Tests for and identifies various types of molds in the home or workplace. Everything needed for a complete mail-in mold test, including 6 test tapes, three polybags a test card, manual and preprinted return envelope. Lab analysis of $10 per sample submitted will specify the type of mold growth. Rust proof. 1/4" shackle diameter with 2-1/2" vertical shackle clearance. Nickel plated finish. Two brass keys included. M1 keyway. Includes 2 nickel plated brass keys per padlock. Twin pack. "Tough-Cut" octagonal boron-carbide shackle. Dual ball bearing locking for maximum pry resistance. "Dual-Armor" protection: laminated steel core for strength, stainless steel and zinc outer components for weather resistance. Chisel resistant recessed rivets. Reinforced body bumper for scratch resistance. 1-3/4" wide case, 5/16" shackle diameter, and 13/16" horizontal shackle clearance. Carded. Laminated steel body encased in a high performance thermoplastic cover. Cylinder and dual locking steel levers for pick and pry resistance. Shackle is case hardened. Quick snap cap on the bottom minimizes key cylinder jams caused by dust, dirt and freezing. Keys are nickel plated brass and colored covers that match body colors. Two keys included with No. 312D and three keys included No. 312TR1. 1-9/16" wide case, 3/8" diameter shackle, and 1/2" horizontal shackle clearance. Rounded shape cushions corner from all angles. Clear gel blends in with home d?cor. Easy to install and remove adhesive mount. Durable metal body withstands abuse. 4 chrome-plated "set-your-own" dials. Features a high-tech silver finish with colorful, soft-touch bottom and side grips. "Quick Read Combo" side window for easy viewing. Hardened steel shackle for extra cut resistance. 2" wide case, 1/4" diameter shackle, and 3/4" horizontal shackle clearance. Solid aluminum body is lightweight, durable and resists corrosion. Dual ball locking for added protection against prying and hammering. Hardened steel shackles protect against cutting and sawing. 1-1/2" wide case, 9/32" diameter shackle, and 3/4" horizontal shackle clearance. Accommodates most french-door-style levers. Child-resistant, press and slide design. Blinds attackers temporarily; causing coughing, gagging, and tearing. Point and press, single-motion activation; no shaking required. 2 percent red pepper spray by volume. Contains 100,000 Scoville Content and .67 percent Capsaicinoids. Non-flammable and environmentally friendly. Comes with black leather holster. Can be used with jogging, hiking, walking, shopping, or biking. Ballistic spray with a micro-splatter pattern prevents blowback. The following states have laws governing the sale of this product: CA, DC, MA, HI, NY and WI. Check with local law enforcement agencies to be sure you are in compliance. Precision cylinder protection, thousands of key changes, tough, laminated, cadmium rustproof steel case; nickel-plated shackle. Removable key- change number for added security. Pair of brass keys included with every lock. Case-hardened steel shackle. Exclusive dual steel locking levers independently lock each shackle leg for increased protection. Patented taper assures smooth vertical shackle movement and precise engagement of locking levers. Proprietary rustproofing for longer life. 1-3/4" wide case, 5/16" diameter shackle, and 3/4" wide horizontal shackle clearance. Precision cylinder protection, thousands of key changes, tough, laminated, cadmium rustproof steel case; nickel-plated shackle. Removable key- change number for added security. Pair of brass keys included with every lock. Case-hardened steel shackle. Exclusive dual steel locking levers independently lock each shackle leg for increased protection. Patented taper assures smooth vertical shackle movement and precise engagement of locking levers. Proprietary rustproofing for longer life. 1-3/4" wide case, 5/16" diameter shackle, and 3/4" wide horizontal shackle clearance. Precision 4-pin tumbler mechanism. Wide laminated steel 1-1/8" case. Welded-link steel security chain, sheathed in red vinyl protective sleeve. Includes #7 padlock lock and 2 brass keys. 9/64" outside chain diameter and 3' chain length. Laminated steel body, which stands up to physical abuse for protection against theft. Plated to resist rust and corrosion. For outdoor and indoor storage cabinets, tool boxes, sheds, gates, etc. Dual locking hardened steel shackle. Pair of brass keys included. 1-9/16" (40mm) wide case, 9/32" diameter shackle, and 5/8" wide horizontal shackle clearance. Laminated steel body, which stands up to physical abuse for protection against theft. Plated to resist rust and corrosion. For outdoor and indoor storage cabinets, tool boxes, sheds, gates, etc. Dual locking hardened steel shackle. Pair of brass keys included. 1-9/16" (40mm) wide case, 9/32" diameter shackle, and 5/8" wide horizontal shackle clearance. Laminated steel bodies and hardened boron alloy shackle for strength and cut resistance. 4-pin cylinder prevents picking and dual locking levers for extra pry resistance. Proprietary rustproofing for longer life. 2" wide case, 3/8" diameter shackle, and 15/16" wide horizontal shackle clearance. UP (Universal Pin) padlocks for in store keying convenience. UP series locks are pinned on site to match customer's original key and do NOT come with keys. Use No. 376 Universal Pin Keying Tool for Keying, Must be Ordered Separately Orgill SKU#6596365. Universal Pin padlocks for keying convenience. Operate with same key as Master Lock Padlocks (Nos.1-6). Laminated steel bodies for superior strength. Hardened steel (Nos.1 and 3) hardened boron alloy (No.5) shackles. 4-pin tumbler cylinders helps prevent picking. 1UP and 1UPLJ have 1-3/4" wide case, 5/16" diameter shackle, and 3/4" horizontal shackle clearance. 3UP and 3UPLF have 1-9/16" wide case, 9/32" diameter shackle, and 15/16" horizontal shackle clearance. 5UP and 5UPLF have 2" wide case, 3/8" diameter shackle, and 15/16" wide horizontal shackle clearance. UP (Universal Pin) padlocks for in store keying convenience. UP series locks are pinned on site to match customer's original key and do NOT come with keys. Use No. 376 Universal Pin Keying Tool for Keying, Must be Ordered Separately Orgill SKU#6596365. Universal Pin padlocks for keying convenience. Operate with same key as Master Lock Padlocks (Nos.1-6). Laminated steel bodies for superior strength. Hardened steel (Nos.1 and 3) hardened boron alloy (No.5) shackles. 4-pin tumbler cylinders helps prevent picking. 1UP and 1UPLJ have 1-3/4" wide case, 5/16" diameter shackle, and 3/4" horizontal shackle clearance. 3UP and 3UPLF have 1-9/16" wide case, 9/32" diameter shackle, and 15/16" horizontal shackle clearance. 5UP and 5UPLF have 2" wide case, 3/8" diameter shackle, and 15/16" wide horizontal shackle clearance. Precision cylinder protection, thousands of key changes, tough, laminated, cadmium rustproof steel case; nickel-plated shackle. Removable key- change number for added security. Pair of brass keys included with every lock. Case-hardened steel shackle. Exclusive dual steel locking levers independently lock each shackle leg for increased protection. Patented taper assures smooth vertical shackle movement and precise engagement of locking levers. Proprietary rustproofing for longer life. 1-3/4" wide case, 5/16" diameter shackle, and 3/4" wide horizontal shackle clearance. Precision cylinder protection, thousands of key changes, tough, laminated, cadmium rustproof steel case; nickel-plated shackle. Removable key- change number for added security. Pair of brass keys included with every lock. Case-hardened steel shackle. Exclusive dual steel locking levers independently lock each shackle leg for increased protection. Patented taper assures smooth vertical shackle movement and precise engagement of locking levers. Proprietary rustproofing for longer life. 1-3/4" wide case, 5/16" diameter shackle, and 3/4" wide horizontal shackle clearance. Precision cylinder protection, thousands of key changes, tough, laminated, cadmium rustproof steel case; nickel-plated shackle. Removable key- change number for added security. Pair of brass keys included with every lock. Case-hardened steel shackle. Exclusive dual steel locking levers independently lock each shackle leg for increased protection. Patented taper assures smooth vertical shackle movement and precise engagement of locking levers. Proprietary rustproofing for longer life. 1-3/4" wide case, 5/16" diameter shackle, and 3/4" wide horizontal shackle clearance. High security shackle lock protects against hacksaws, files and bolt cutters, is vinyl coated to prevent scratches. Mounting bracket and 2 keys included. Rust proof. Nickel plated. Two brass keys included. Masterlock Keyway. Blinds attackers temporarily; causing coughing, gagging, and tearing. Point and press, single-motion activation; no shaking required. 2 percent red pepper spray by volume. Contains 100,000 Scoville Content and .67 percent Capsaicinoids. Non-flammable and environmentally friendly. Can be used with jogging, hiking, walking, shopping, or biking. Ballistic spray with a micro-splatter pattern prevents blowback. The following states have laws governing the sale of this product: CA, DC, MA, HI, NY and WI. Check with local law enforcement agencies to be sure you are in compliance. "Tough-Cut" octagonal boron-carbide shackle. "Rust-Oleum" protection; no rust. Dual ball bearing locking for maximum pry resistance. "Dual-Armor" construction: laminated steel core with weather-resistant cover that protects against snow, rain, dirt, mud, grime, and salt. Covered keyway and shackle seal. 1-9/16" wide case, 5/16" diameter shackle, and 13/16" horizontal shackle clearance. Features a steel and zinc body for maximum durability. 4-pin tumbler cylinder helps prevent picking. Special rubber pads protect gun?s finish from marring or scratching. Fits many handguns, rifles and shotguns. Specially designed to go unnoticed by children. 12 outlet plugs with child-resistant rounded edges. UP (Universal Pin) padlocks for in store keying convenience. UP series locks are pinned on site to match customer's original key and do NOT come with keys. Use No. 376 Universal Pin Keying Tool for Keying, Must be Ordered Separately Orgill SKU#6596365. Universal Pin padlocks for keying convenience. Operate with same key as Master Lock Padlocks (Nos.1-6). Laminated steel bodies for superior strength. Hardened steel (Nos.1 and 3) hardened boron alloy (No.5) shackles. 4-pin tumbler cylinders helps prevent picking. 1UP and 1UPLJ have 1-3/4" wide case, 5/16" diameter shackle, and 3/4" horizontal shackle clearance. 3UP and 3UPLF have 1-9/16" wide case, 9/32" diameter shackle, and 15/16" horizontal shackle clearance. 5UP and 5UPLF have 2" wide case, 3/8" diameter shackle, and 15/16" wide horizontal shackle clearance. UP (Universal Pin) padlocks for in store keying convenience. UP series locks are pinned on site to match customer's original key and do NOT come with keys. Use No. 376 Universal Pin Keying Tool for Keying, Must be Ordered Separately Orgill SKU#6596365. Universal Pin padlocks for keying convenience. Operate with same key as Master Lock Padlocks (Nos.1-6). Laminated steel bodies for superior strength. Hardened steel (Nos.1 and 3) hardened boron alloy (No.5) shackles. 4-pin tumbler cylinders helps prevent picking. 1UP and 1UPLJ have 1-3/4" wide case, 5/16" diameter shackle, and 3/4" horizontal shackle clearance. 3UP and 3UPLF have 1-9/16" wide case, 9/32" diameter shackle, and 15/16" horizontal shackle clearance. 5UP and 5UPLF have 2" wide case, 3/8" diameter shackle, and 15/16" wide horizontal shackle clearance. Precision cylinder protection, thousands of key changes, tough, laminated, cadmium rustproof steel case; nickel-plated shackle. Removable key- change number for added security. Pair of brass keys included with every lock. Case-hardened steel shackle. Exclusive dual steel locking levers independently lock each shackle leg for increased protection. Patented taper assures smooth vertical shackle movement and precise engagement of locking levers. Proprietary rustproofing for longer life. 1-3/4" wide case, 5/16" diameter shackle, and 3/4" wide horizontal shackle clearance. For guarding trailers hitched or unhitched, and for security cables, chains, and hasps. Exclusive shackle guard, extra resistant to bolt cutters and hacksaws. Dual steel locking levers independently lock both shackle legs. Rust resistant finish. 1-9/16" wide case and 7/16" horizontal shackle clearance. Blue bumper. Shrouded shackle offers greater security against cutting and sawing. Two interior anti-saw levers deter cutting the body. Stainless steel lock body resists corrosion. Hardened-steel shackle withstands crowbar attacks. Pin cylinder lock with double-locking deadbolt action maximizes security. Key retaining feature ensures padlock is not left unlocked. Fully shielded design minimizes shackle exposure. 2-3/4" wide case, 3/8" diameter shackle, and 3/4" horizontal shackle clearance. Test for lead on up to 4 separate surfaces with immediate results. Includes all needed materials, no additional fees required. 4 test packs. Carded. Blinds attackers temporarily; causing coughing, gagging, and tearing. Point and press, single-motion activation; no shaking required. 2 percent red pepper spray by volume. Contains 100,000 Scoville Content and .67 percent Capsaicinoids. Non-flammable and environmentally friendly. Velcro strap allows for comfort while jogging, roller blading, walking, camping, or hiking. Ballistic spray with a micro-splatter pattern prevents blowback. The following states have laws governing the sale of this product: CA, DC, MA, HI, NY and WI. Check with local law enforcement agencies to be sure you are in compliance. "Tough-Cut" octagonal boron-carbide shackle. Dual ball bearing locking for maximum pry resistance. "Dual-Armor" protection: laminated steel core for strength, stainless steel and zinc outer components for weather resistance. Chisel resistant recessed rivets. Reinforced body bumper for scratch resistance. 2" wide case, 3/8" shackle diameter, and 30/32" horizontal shackle clearance. Carded. 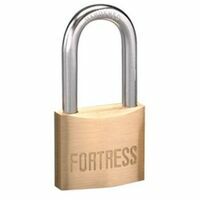 Laminated steel padlock 2" wide with twin looped end coiled steel cable 6' long. Plastic anti-scratch cover. 2 keys included. "Tough-Cut" octagonal boron-carbide shackle. Dual ball bearing locking for maximum pry resistance. Stainless steel construction and covered keyway for weather protection. Reinforced body bumper for scratch resistance. 2-3/4" wide case, 3/8" diameter shackle, and 1-3/32" horizontal shackle clearance. Long Shackle, level locking, solid brass body resists rust and corrosion. 2" wide case 5/16" diameter shackle, and 1-1/4" wide horizontal shackle clearance. Stainless steel shackle and durable finish for improved weather resistance.1-9/16? (44mm) wide. Brass 4-Pin tumbler cylinder for increased weather and pick resistance. Double locking levers for increased pry resistance. Integrated keyed locking mechanism for pick resistance. Braided flexible steel cables for cut resistance. Protective coating helps prevent scratching. Use for bicycles, skateboards, and sports equipment. 6' x 3/8" diameter cable. Gray. Pin tumbler locking mechanisms and chrome-hardened steel shackles to resist tampering. Brass bodies and cylinders resist corrosion. For storage cabinets, drawers, display and file cabinets, gun racks, luggage, and general security. Two brass plated keys included. 150 has 2" wide case, 9/32" diameter shackle, and 1" horizontal shackle clearance. 160 has 2-3/8" wide case, 11/32" diameter shackle, and 1-1/4" horizontal shackle clearance. Combination locking mechanism for keyless convenience. Flexible steel cables for strong cut resistance. Protective coating help prevent scratching. Use for bicycles, skateboards, and sports equipment. 5' x 3/8" diameter cable. Features a 2 in (51mm) wide black vinyl covered body for scratch and corrosion resistance. The 5/16 in (8mm) diameter shackle adjusts from 2-3/8 in (6cm) to 5-15/16 in (15cm) long; and is made of vinyl-clad hardened steel, offering extra resistance to cutting, sawing and surface marring. The 4-pin cylinder prevents picking and the dual locking levers provide resistance against prying and hammering. Matching colored key head for added convenience. Security for basic applications. Laminated steel case with 4-pin tumbler mechanism. Dual-locking system independently locks each shackle leg for added strength. Plastic bumper protects against marring and scratching. Hardened steel shackle. Two keys included. 1803 has 1-1/2" wide case, 1/4" diameter shackle, and 3/4" horizontal shackle clearance. 1805 has 2" wide case, 5/16" diameter shackle, and 1" horizontal shackle clearance. 1807 has 1-1/8" wide case, 3/16" diameter shackle, and 9/16" horizontal shackle clearance. Carded. UP (Universal Pin) padlocks for in store keying convenience. UP series locks are pinned on site to match customer's original key and do NOT come with keys. Use No. 376 Universal Pin Keying Tool for Keying, Must be Ordered Separately Orgill SKU#6596365. Universal Pin padlocks for keying convenience. Operate with same key as Master Lock Padlocks (Nos.1-6). Laminated steel bodies for superior strength. Hardened steel (Nos.1 and 3) hardened boron alloy (No.5) shackles. 4-pin tumbler cylinders helps prevent picking. 1UP and 1UPLJ have 1-3/4" wide case, 5/16" diameter shackle, and 3/4" horizontal shackle clearance. 3UP and 3UPLF have 1-9/16" wide case, 9/32" diameter shackle, and 15/16" horizontal shackle clearance. 5UP and 5UPLF have 2" wide case, 3/8" diameter shackle, and 15/16" wide horizontal shackle clearance. Charcoal test kit traps particle traces. Short term test takes only 2-3 days in home. Price includes lab analysis by an Environmental Protection Agency listed lab. Laminated steel body, which stands up to physical abuse for protection against theft. Plated to resist rust and corrosion. For outdoor and indoor storage cabinets, tool boxes, sheds, gates, etc. Dual locking hardened steel shackle. Pair of brass keys included. 1-9/16" (40mm) wide case, 9/32" diameter shackle, and 5/8" wide horizontal shackle clearance. 6' coiled steel cable, plastic anti-scratch cover, multi-fit bracket. Set your own numeric combination. Steel and zinc body for maximum durability. Features positive locking with adjustable ratchet mechanism. Special rubber pads protect gun?s finish from marring or scratching. 3 dial combination security for keyless convenience. Fits many handguns, rifles and shotguns. Features a unique flip and grip safety trigger. Its compact size and key chain make it ideal to carry on your keys, in your pocket or in a purse or backpack. Shoots a stream of OC pepper and UV dye up to 12 feet. Not for sale in the states of New York or Massachusetts. Discreet and stylish cosmetic case design that's safe to carry when going out or for everyday protection in your purse or pack. Mace's hottest OC pepper formula and UV dye sprays up to 10 feet to stop and attacker in their tracks. Not for sale in the states of New York or Massachusetts. Allows TSA screeners to inspect and relock baggage, without damaging the lock. Easy to set & reset numeric combination. 1-5/16" (35mm) Wide durable metal body. 4 dial combination security for keyless convenience. Extended reach, heavy duty shackle designed for equipment cases. Unique side window for easy combination viewing. 10,000 combination possibilities. Allows TSA screeners to inspect and relock baggage, without damaging the lock. Unique flexible cable resists abuse from baggage handling equipment. Easy to set & reset numeric combination. 1-3/8 in (36mm) Wide durable metal body. 4 dial combination security for keyless convenience. Assorted bright colors coordinate with popular baggage colors. Helps protect children from dangling window blind cords. Safely winds up and stores excess cord to keep out child's reach. Does not interfere with use of blinds. For high security. Brass tumbler with hardened steel shackle. Two brass keys included. Yale Keyway. Helps prevent toddlers from opening folding doors. 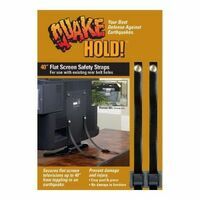 Safe child resistant lock stays out of child's reach. Conveniently fits standard bi-fold doors. Use for laundry rooms and closets. Laminated steel bodies and hardened boron alloy shackle for strength and cut resistance. 4-pin cylinder prevents picking and dual locking levers for extra pry resistance. Proprietary rustproofing for longer life. 2" wide case, 3/8" diameter shackle, and 15/16" wide horizontal shackle clearance. Laminated steel bodies and hardened boron alloy shackle for strength and cut resistance. 4-pin cylinder prevents picking and dual locking levers for extra pry resistance. Proprietary rustproofing for longer life. 2" wide case, 3/8" diameter shackle, and 15/16" wide horizontal shackle clearance. Laminated steel case with bumper. Chrome plated shackle. Lock body and shackle guaranteed not to rust. Dual steel levers lock both sides of case-hardened. Two nickel plated steel keys with covered key heads included. "Rustoleum" finish for lifetime rust protection. 1-9/16" wide case, 9/32" diameter shackle, and 5/8" horizontal shackle clearance. Carded. 1-3/16? (30mm) wide black vinyl covered body for scratch and corrosion resistance. 3/16? (5mm) diameter shackle is 5/8in (16mm) long and made of hardened steel, offering extra resistance to cutting and sawing. The 4-pin cylinder prevents picking and the dual locking levers provide resistance against prying and hammering. Security for basic applications. Laminated steel case with 4-pin tumbler mechanism. Dual-locking system independently locks each shackle leg for added strength. Plastic bumper protects against marring and scratching. Hardened steel shackle. Two keys included. 1803 has 1-1/2" wide case, 1/4" diameter shackle, and 3/4" horizontal shackle clearance. 1805 has 2" wide case, 5/16" diameter shackle, and 1" horizontal shackle clearance. 1807 has 1-1/8" wide case, 3/16" diameter shackle, and 9/16" horizontal shackle clearance. Carded. Security for basic applications. Brass tumbler locking mechanism. Hardened steel shackle. Two keys included. 1-9/16" wide case, 1/4" diameter shackle, and 13/16" horizontal shackle clearance. Laminated steel bodies and hardened boron alloy shackle for strength and cut resistance. 4-pin cylinder prevents picking and dual locking levers for extra pry resistance. Proprietary rustproofing for longer life. 2" wide case, 3/8" diameter shackle, and 15/16" wide horizontal shackle clearance. Laminated steel bodies and hardened boron alloy shackle for strength and cut resistance. 4-pin cylinder prevents picking and dual locking levers for extra pry resistance. Proprietary rustproofing for longer life. 2" wide case, 3/8" diameter shackle, and 15/16" wide horizontal shackle clearance. Laminated steel bodies and hardened boron alloy shackle for strength and cut resistance. 4-pin cylinder prevents picking and dual locking levers for extra pry resistance. Proprietary rustproofing for longer life. 2" wide case, 3/8" diameter shackle, and 15/16" wide horizontal shackle clearance. 1-9/16" (40mm) Wide black vinyl covered body for scratch resistance. Made of corrosion resistant materials. Hardened steel shackle for extra cut resistance. 4-pin cylinder for added pick resistance. Matching colored key head for added convenience. Laminated steel bodies and hardened boron alloy shackle for strength and cut resistance. 4-pin cylinder prevents picking and dual locking levers for extra pry resistance. Proprietary rustproofing for longer life. 2" wide case, 3/8" diameter shackle, and 15/16" wide horizontal shackle clearance. Solid brass for durability, strength and corrosion resistance. Dual ball locking protect from prying and hammering. Hardened steel shackles protect from cutting and sawing. 5-pin cylinder for max pick resistance and security. 1-3/4" wide case, 5/16" diameter shackle, and 13/16" horizontal shackle clearance. Stainless steel lock body and shackle delivers the maximum weather resistance available. 1-3/4" (44mm) wide. Brass 4-Pin tumbler cylinder for increased weather and pick resistance. Double locking levers for increased pry resistance. "Tough-Cut" octagonal boron-carbide shackle. Dual ball bearing locking for maximum pry resistance. "Dual-Armor" protection: laminated steel core for strength, stainless steel and zinc outer components for weather resistance. Chisel resistant recessed rivets. Reinforced body bumper for scratch resistance. 2" wide case, 3/8" shackle diameter, and 30/32" horizontal shackle clearance. Carded. Set your own secret number from 10,000 choices. Exclusive positive action change key permits quick, easy resetting. Once shackle is closed, automatic tamper guard of hardened steel blocks keyway, protects against tampering. Corrosion-resistant solid brass case. Nickel-plated case hardened steel shackle. Independently double locking shackle legs. 2" wide case, 5/16" diameter shackle, and 1" horizontal shackle clearance. Integrated lock and self coiling braided steel cable for ease of locking and handling. Vinyl coating prevents scratching. Three pack of blue, green, and red. 6' x 3/8" diameter cable. Pressure-mounts instantly, securely without hardware. Wood frame with rigid diamond mesh panels and no-mar rubber bumpers. EZ-Adjust and Lock feature. Width expands 26" to 42". Galvanized steel, zinc plated body to resist rust and corrosion. Hardened steel shackle resists sawing, prying and filing. Precision solid brass pin tumbler cylinder for pick resistance and smooth operation in all weather conditions. 2 keys included. 1-1/2" wide case and 1/4" diameter shackle. Masterlock Keyway. Allows TSA screeners to inspect and relock baggage without damaging the lock. Bright, neon colors (green, orange, pink, purple) help with luggage identification. 3 dial, set-your-own combination convenience. 1-3/8" (35mm) wide covered brass lock body. 1/8" diameter shackle and 17/32" horizontal shackle clearance. Stainless steel shackle and durable finish for improved weather resistance. Yellow weather resistant thermoplastic shell provides outdoor protection against moisture, dirt & grime. 1-9/16in (40mm) Wide. Brass 4-Pin tumbler cylinder for increased weather and pick resistance. Double locking levers for increased pry resistance. Features a 6-1/8in (15cm) wide hardened steel body for maximum strength and reliability. 1/2in (13mm) diameter double locking shackle is 8in (20cm) long and made of hardened steel, offering extra resistance to prying, cutting, and sawing. The disc key cylinder prevents picking. Limited Lifetime Warranty. "Tough-Cut" octagonal boron-carbide shackle. Dual ball bearing locking for maximum pry resistance. "Dual-Armor" protection: laminated steel core for strength, stainless steel and zinc outer components for weather resistance. Chisel resistant recessed rivets. Reinforced body bumper for scratch resistance. 2-1/2" wide case, 14/32" shackle diameter, and 1-3/16" horizontal shackle clearance. "Tough-Cut" octagonal boron-carbide shackle. "Rust-Oleum" protection; no rust. Dual ball bearing locking for maximum pry resistance. "Dual-Armor" construction: laminated steel core with weather-resistant cover that protects against snow, rain, dirt, mud, grime, and salt. Covered keyway and shackle seal. 2" wide case, 3/8" shackle diameter, and 30/32" horizontal shackle clearance. Features a 2" (51mm) wide zinc solid body for strength and reliability. 3/8" (10mm) diameter octagonal shackle is 1-1/2" (38mm) long and made of "Tough-Cut" boron-carbide, 50% harder than hardened steel, offering maximum resistance to cutting and sawing. Roller pin cylinder provides maximum pick and pry resistance. Hinged dial cover and shackle seal offers superior weather protection, and reinforced body bumper protects against scratches. The lock includes set your own combination convenience, without the need for a reset tool. "Tough-Cut" octagonal boron-carbide shackle. Set-Your-Own combination convenience. Covered dials for weather protection. Reinforced body bumper for scratch resistance. Key accessible. Includes back-up key. 4-pin cylinder. 2" wide case, 3/8" shackle diameter, and 30/32" horizontal shackle clearance. 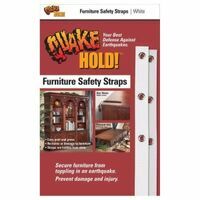 Helps keep cabinets and drawers secure. Press 'n Pivot latches feature an easy grip wide surface for quick access and they are simple to install and easy to use. 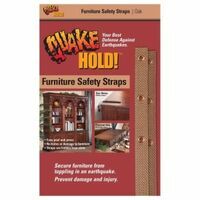 Helps keep cabinets and drawers secure. Spring-loaded for easy use and feature a wide grip surface for quick access. Laminated steel bodies and hardened boron alloy shackle for strength and cut resistance. 4-pin cylinder prevents picking and dual locking levers for extra pry resistance. Proprietary rustproofing for longer life. 2" wide case, 3/8" diameter shackle, and 15/16" wide horizontal shackle clearance. Laminated steel body, which stands up to physical abuse for protection against theft. Plated to resist rust and corrosion. For outdoor and indoor storage cabinets, tool boxes, sheds, gates, etc. Dual locking hardened steel shackle. Pair of brass keys included. 1-9/16" (40mm) wide case, 9/32" diameter shackle, and 5/8" wide horizontal shackle clearance. Re-key your padlock to work with the key from any SmartKey lock. SmartKey Re-key Technology is bump proof and pick resistant. Hardened molybdenum shackle for superior resistance to sawing and cutting. Dual ball bearing locking for maximum protection from pry and hammer attacks. Key retaining feature ensures padlock is not left unlocked and prevents accidentally locking the key inside a shed, toolbox, locker, etc. 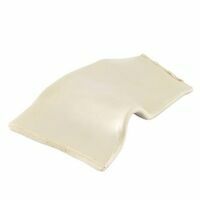 Designed to fit most toilets and has adhesive backing for installation. Operate the swing lock with one hand, and automatically relocks when lid is lowered. SecureTech locking indicator eliminates the guesswork with easy-to-see icons. Stainless steel lock body and shackle delivers the maximum weather resistance. 2in (51mm) wide. Brass 4-Pin tumbler cylinder for increased weather and pick resistance. Double locking levers for increased pry resistance. Pin tumbler locking mechanisms and chrome-hardened steel shackles to resist tampering. Brass bodies and cylinders resist corrosion. For storage cabinets, drawers, display and file cabinets, gun racks, luggage, and general security. Two brass plated keys included. 1-9/16" wide case, 1/4" diameter shackle, and 13/16" horizontal shackle clearance. Set your own secret number from 10,000 choices. Exclusive positive action change key permits quick, easy resetting. Once shackle is closed, automatic tamper guard of hardened steel blocks keyway, protects against tampering. Corrosion-resistant solid brass case. Nickel-plated case hardened steel shackle. Independently double locking shackle legs. 2" wide case, 5/16" diameter shackle, and 1" horizontal shackle clearance. Braided steel wires for strength and flexibility. Galvanized steel cable resists rusting. Convenient loops with rust resistant sleeves and scratch guards. Vinyl coating helps prevent scratching. Use with laminated locks, solid steel locks and mini U-locks. 3/8" diameter cable. "Tough-Cut" octagonal boron-carbide shackle. Dual ball bearing locking for maximum pry resistance. "Dual-Armor" protection: laminated steel core for strength, stainless steel and zinc outer components for weather resistance. Chisel resistant recessed rivets. Reinforced body bumper for scratch resistance. 2" wide case, 3/8" shackle diameter, and 30/32" horizontal shackle clearance. Carded. Install lock inside cabinet or drawer; use the magnetic key to open when needed. Store key high up and out of reach from children. Includes: 2 locks and 1 key. Attaches to car window to remind others to drive safely. States "BABY ON BOARD!" in black letters on a yellow background; clearly visible from a distance. Suction cup attachment. "Tough-Cut" octagonal boron-carbide shackle. "Rust-Oleum" protection; no rust. Dual ball bearing locking for maximum pry resistance. "Dual-Armor" construction: laminated steel core with weather-resistant cover that protects against snow, rain, dirt, mud, grime, and salt. Covered keyway and shackle seal. 1-9/16" wide case, 5/16" diameter shackle, and 13/16" horizontal shackle clearance. Re-key your padlock to work with the key from any SmartKey lock. SmartKey Re-key Technology is bump proof and pick resistant. Hardened molybdenum shackle for superior resistance to sawing and cutting. Dual ball bearing locking for maximum protection from pry and hammer attacks. Key retaining feature ensures padlock is not left unlocked and prevents accidentally locking the key inside a shed, toolbox, locker, etc. Safety 1st Spring-N-Release Latch Includes 4 grip 'n twist door knob covers, 12 wide-grip latches and 30 secure-press plug protectors. Plastic construction. 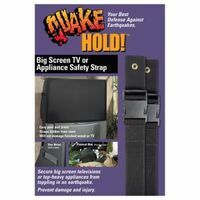 Ready America Big Screen and Appliance Strap, Adjustable, Series: QuakeHold, 6 ft Length, 500 lb Load Limit, Nylon, Black, For used to secure your home and office electronics from toppling in an earthquake Ready America Flat Screen Strap, Series: QuakeHold, 70 in Length, 150 lb Load Limit, Nylon, Black, For used to secure modern LED, LCD and Plasma flat screen TV's from toppling over High security padlock with shroud to protect against saws, bolt cutters and shackle prying. Dual hardened steel balls lock each shackle leg independently. Thermoplastic cover protects lock body. "Tough-Cut" octagonal boron-carbide shackle. Dual ball bearing locking for maximum pry resistance. "Dual-Armor" protection: laminated steel core for strength, stainless steel and zinc outer components for weather resistance. Chisel resistant recessed rivets. Reinforced body bumper for scratch resistance. 1-3/4" wide case, 5/16" shackle diameter, and 13/16" horizontal shackle clearance. Carded. Helps you keep an eye on baby while traveling. Safe adjustable mirror. Clips to visor for front-facing baby, attaches to back window for rear-facing. Holds 1-2 keys for house or car in a convenient location for regular use. Portable over the door knob for convenience. Set-your-own 3-digit combination for keyless convenience. 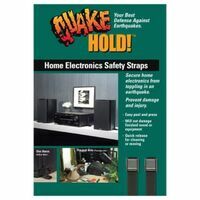 2-3/4" (70mm) wide durable metal construction. Flexible cover protects combination dials from weather, dirt and grime. Vinyl coated shackle prevents scratching. Marring bumpers help protect woodwork and walls. Adjusts from 28" to 38" to cover doorways with various widths, 23" high. Convenient for freezer, refrigerator, microwave or dishwasher. Helps keep children from accessing appliances. Secure press-and-pull lock helps keep appliances closed. For hinged and sliding doors. 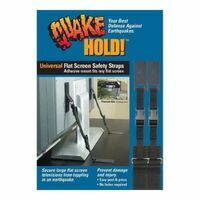 Made of rugged 20 gauge steel construction to resists forced entry through doors and sliding patio doors. The bar adjusts from 27-1/2in (70cm) - 42in (1.1m) for application flexibility. The pivoting ball joint assures full contact with floor, and padded foot provides sure grip without scratching. Withstands over 350 pounds of force. Helps protect children from unused outlets. Safe child resistant two-touch, release for adult only access. Convenient fit over standard outlets. Stainless steel shackle and durable finish for improved weather resistance.1-9/16? (44mm) wide. Brass 4-Pin tumbler cylinder for increased weather and pick resistance. Double locking levers for increased pry resistance. Laminated steel body encased in a high performance thermoplastic cover. Cylinder and dual locking steel levers for pick and pry resistance. Shackle is case hardened. Quick snap cap on the bottom minimizes key cylinder jams caused by dust, dirt and freezing. Keys are nickel plated brass and colored covers that match body colors. Two keys included with No. 312D and three keys included No. 312TR1. 1-9/16" wide case, 3/8" diameter shackle, and 1/2" horizontal shackle clearance. "Tough-Cut" octagonal boron-carbide shackle. Dual ball bearing locking for maximum pry resistance. Covered keyway for weather protection. Reinforced body bumper for scratch resistance. Rekeyable cylinder. 2-1/2" wide case, 14/32" shackle diameter, and 15/16" horizontal shackle clearance. Laminated steel body, which stands up to physical abuse for protection against theft. Plated to resist rust and corrosion. For outdoor and indoor storage cabinets, tool boxes, sheds, gates, etc. Dual locking hardened steel shackle. Pair of brass keys included. 1-9/16" (40mm) wide case, 9/32" diameter shackle, and 5/8" wide horizontal shackle clearance. "Tough-Cut" octagonal boron-carbide shackle. "Rust-Oleum" protection; no rust. Dual ball bearing locking for maximum pry resistance. "Dual-Armor" construction: laminated steel core with weather-resistant cover that protects against snow, rain, dirt, mud, grime, and salt. Covered keyway and shackle seal. 1-9/16" wide case, 5/16" diameter shackle, and 13/16" horizontal shackle clearance. Keeps rooms off limit to little ones. Holes in cover allows parents to get a solid grip to open door, but keeps curious toddlers out. Glows in the dark, for ease of use at night. Sleek modern design blends in with home decor. "Tough-Cut" octagonal boron-carbide shackle. Dual ball bearing locking for maximum pry resistance. "Dual-Armor" protection: laminated steel core for strength, stainless steel and zinc outer components for weather resistance. Chisel resistant recessed rivets. Reinforced body bumper for scratch resistance. 1-3/4" wide case, 5/16" shackle diameter, and 13/16" horizontal shackle clearance. Carded. Precision cylinder protection, thousands of key changes, tough, laminated, cadmium rustproof steel case; nickel-plated shackle. Removable key- change number for added security. Pair of brass keys included with every lock. Case-hardened steel shackle. Exclusive dual steel locking levers independently lock each shackle leg for increased protection. Patented taper assures smooth vertical shackle movement and precise engagement of locking levers. Proprietary rustproofing for longer life. 1-3/4" wide case, 5/16" diameter shackle, and 3/4" wide horizontal shackle clearance. Attach to household doors to help prevent children from accidentally pinching their fingers. Prevents door from closing. Safe soft flexible material. Easily attaches to most doors. Helps keep children out. Safe child resistant latch helps keep cabinets and drawers secure. Integrated keyed locking mechanism for strong pick resistance. Flexible braided steel cable for strong cut resistance. Vinyl coating helps prevent scratching. 5' x 5/16" diameter cable. 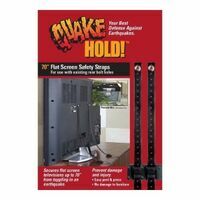 Ready America Flat Screen Strap, Adjustable, Universal, Series: QuakeHold, 60 in Length, 100 lb Load Limit, Nylon, Black, For used to secure modern LCD and plasma flat screen TV's from toppling over Comes as a pressure gate for immediate mounting to doorways. Specially designed rail sockets included to allow gate to be used between wrought iron railings. Hardware included for hinge mounting to make a swing gate. Can be used between wall and wrought iron railings. Rounded edges will not pinch. Ideal for pets too. Width expands 26" to 42". Pin tumbler locking mechanisms and chrome-hardened steel shackles to resist tampering. Brass bodies and cylinders resist corrosion. For storage cabinets, drawers, display and file cabinets, gun racks, luggage, and general security. Two brass plated keys included. 1-9/16" wide case, 1/4" diameter shackle, and 13/16" horizontal shackle clearance. Laminated steel bodies and hardened boron alloy shackle for strength and cut resistance. 4-pin cylinder prevents picking and dual locking levers for extra pry resistance. Proprietary rustproofing for longer life. 2" wide case, 3/8" diameter shackle, and 15/16" wide horizontal shackle clearance. Assortment of colorful combination locks. Each with double-armored stainless steel body, aluminum cover with durable anodized finish and hardened steel shackle for extra cut resistance. Three-number dialing and 1,500 combinations for maximum security. Includes: One each of Nos. 1526DCM, 1527DCM, 1528DCM, and 1529DCM (blue, green, purple, and red). 1-7/8" wide case, 9/32" diameter shackle, and 13/16" horizontal shackle clearance. Level locking, solid brass body resists rust and corrosion. 1-1/2" wide case and 1/4" diameter shackle. 4 per package.Yale Keyway. "Tough-Cut" octagonal boron-carbide shackle. Dual ball bearing locking for maximum pry resistance. Stainless steel construction and covered keyway for weather protection. Reinforced body bumper for scratch resistance. 2-3/4" wide case, 3/8" diameter shackle, and 1-3/32" horizontal shackle clearance. "Tough-Cut" octagonal boron-carbide shackle. Dual ball bearing locking for maximum pry resistance. "Dual-Armor" protection: laminated steel core for strength, stainless steel and zinc outer components for weather resistance. Chisel resistant recessed rivets. Reinforced body bumper for scratch resistance. 2" wide case, 3/8" shackle diameter, and 30/32" horizontal shackle clearance. Carded. "Tough-Cut" octagonal boron-carbide shackle. Dual ball bearing locking for maximum pry resistance. "Dual-Armor" protection: laminated steel core for strength, stainless steel and zinc outer components for weather resistance. Chisel resistant recessed rivets. Reinforced body bumper for scratch resistance. 1-3/4" wide case, 5/16" shackle diameter, and 13/16" horizontal shackle clearance. Carded. Steel case. Massive solid steel lock body is hardened for saw and hammer resistance. Case-hardened boron alloy steel shackle. Dual hardened steel balls lock each shackle leg independently. Removable cylinder can be replaced or repinned. 2-1/2" wide case, 7/16" diameter shackle, and 7/8" horizontal shackle clearance. "Tough-Cut" octagonal boron-carbide shackle. Dual ball bearing locking for maximum pry resistance. "Dual-Armor" protection: laminated steel core for strength, stainless steel and zinc outer components for weather resistance. Chisel resistant recessed rivets. Reinforced body bumper for scratch resistance. 1-3/4" wide case, 5/16" shackle diameter, and 13/16" horizontal shackle clearance. Carded. Locking mechanism holds cable tight at any position form 6" to 6'. Interchangeable cables for application flexibility. 100 percent steel braided cable. Weather tough and rust resistant lock body. Vinyl cable sleeve and ABS plastic lock body bumper prevents scratching. 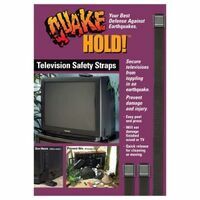 Velcro strap holds excess cable for compact storage. 6' cable. Yellow body with black bumper. Extended range up to 600 ft. 2 channels minimize interference. Portable receiver with belt-clip. 2 energy saving AC adapters included. Power-on and low-battery indicators. Requires one 9-volt battery for portable mode (not included). Designed to secure wallet, credit cards, cell phone or other valuables during transit. Slim-line design steel case slips into a briefcase, under a car seat or in your luggage for added security. Meets TSA airline guidelines. Includes 1,500 pound test steel cable which keeps the case secure when the cable is looped around any fixed object and through the cable slot in the body of the case. Locking the case keeps the cable in place. Foam interior protects the contents during transit. Case is secured with a key coded locking system. 9-1/2? W x 6-1/2? D x 1-3/4? H. Steel case. Massive solid steel lock body is hardened for saw and hammer resistance. Case-hardened boron alloy steel shackle. Dual hardened steel balls lock each shackle leg independently. Removable cylinder can be replaced or repinned. 2-1/2" wide case, 7/16" diameter shackle, and 7/8" horizontal shackle clearance. 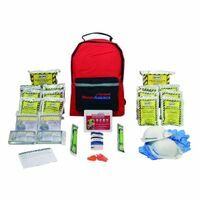 Ready America Emergency Kit, 1-Person, 3 Day, Series: Grab 'n Go, 17 Pieces, Includes: (1) Food Bar (2400 Calorie) (5-Year Shelf Life), (6) Water Pouches (4.225 oz) (5-Year Shelf Life), (1) Emergency Lightstick (12-hr), (1) Survival Blanket, (1) Emergency Poncho, (2) Nitrile Gloves , (1) Disposable Dust Mask, (1) Emergency Whistle, Black Stainless steel lock body and shackle delivers the maximum weather resistance available. 1-3/4" (44mm) wide. Brass 4-Pin tumbler cylinder for increased weather and pick resistance. Double locking levers for increased pry resistance. "Tough-Cut" octagonal boron-carbide shackle. Dual ball bearing locking for maximum pry resistance. "Dual-Armor" protection: laminated steel core for strength, stainless steel and zinc outer components for weather resistance. Chisel resistant recessed rivets. Reinforced body bumper for scratch resistance. 1-3/4" wide case, 5/16" shackle diameter, and 13/16" horizontal shackle clearance. Carded. Rugged die-cast construction. 3-wheel resettable combination locking mechanism for keyless convenience. For all general purpose applications. 4 reflective colors per shelf pack- purple, blue, green and red, all with chrome thumbpieces. 3/16" diameter shackle and 1/4" horizontal shackle clearance. Stainless steel lock body and shackle delivers the maximum weather resistance. 2in (51mm) wide. Brass 4-Pin tumbler cylinder for increased weather and pick resistance. Double locking levers for increased pry resistance. 2-1/2" wide, 1-1/8" thick, case hardened, with a 7/16" thick boron shackle. 5-pin cylinder. Includes 2 keys. 15/16" horizontal shackle clearance. Folds to 24" for easy storage. Top security rail adjusts automatically. Swings open in either direction with one hand. Secure 4-point steel mounting hardware. Width expands 24" to 60". Helps prevent accidentally tipping over furniture. 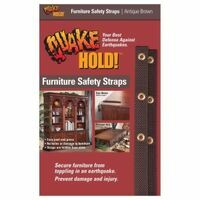 Durable canvas straps help secure furniture to wall. 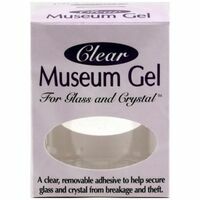 Ideal for bureaus, book cases, shelf unit and armoires. Two-story 15 foot long fully assembled escape ladder. 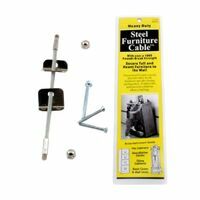 Strong steel construction Large hooks secure easily to windowsills. Slip-resistant epoxy coated rungs. 1000 pound overall strength, 350 pound individual rung strength. 1-29/32? (47mm) Wide. Use your smartphone to open your lock with the free Master Lock Vault eLocks app. Share access with others - temporary or permanent. Share 24/7 access or limit to days or nights. Monitor access history & receive tamper alerts. Backup access using directional code on lock keypad. Low battery notification & reminder on padlock and in app. Comes with CR2450 battery. Battery jump allows for temporary access if battery dies while locked. Locker Mode setting allows for storage inside a locker. Compact footprint fits most lockers. Hardened boron alloy shackle for superior cut resistance. 11/32? (9mm) diameter shackle. Use your smartphone to open your lock with the free Master Lock Vault eLocks app. Share access with others - temporary or permanent. Share 24/7 access or limit to days or nights. Monitor access history & receive tamper alerts. Backup access using directional code on lock keypad. 2-piece weather cover for maximum outdoor protection. Low battery notification & reminder on padlock and in app. Comes with CR2 battery. Battery jump allows for temporary access if battery dies while locked. Injection molded body cover, elastomer shackle seals and weather protected internal components. Laminated steel body, which stands up to physical abuse for protection against theft. Plated to resist rust and corrosion. For outdoor and indoor storage cabinets, tool boxes, sheds, gates, etc. Dual locking hardened steel shackle. Pair of brass keys included. 1-9/16" (40mm) wide case, 9/32" diameter shackle, and 5/8" wide horizontal shackle clearance. Precision cylinder protection, thousands of key changes, tough, laminated, cadmium rustproof steel case; nickel-plated shackle. Removable key- change number for added security. Pair of brass keys included with every lock. Case-hardened steel shackle. Exclusive dual steel locking levers independently lock each shackle leg for increased protection. Patented taper assures smooth vertical shackle movement and precise engagement of locking levers. Proprietary rustproofing for longer life. 1-3/4" wide case, 5/16" diameter shackle, and 3/4" wide horizontal shackle clearance. Designed with an electronic lock with override key, Solid steel pry-resistant door and body help protect against theft and unauthorized entry. Carpeted floor protects your valuables. Interior Dimensions: 9-5/8" H x 13-1/2" W x 7-1/16" D, Exterior Dimensions: 13-3/4" W x 10-5/8" D x 8-11/16" H. Designed to help prevent kitchen accidents by prohibiting children from turning on the stove. The hinged lid allows parents convenient access to stove knobs, without removing the product. Contemporary styling and universal size. Removable and reusable, easy mounting, and easy to clean. 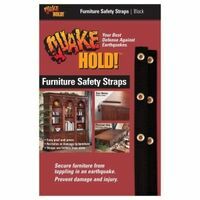 Eliminates potentially dangerous gaps between bed and bed rail. It provides a full 8" of security above the mattress; fitting easily on a twin, full or queen-sized mattress with no loss of height. You can set the bed rail up in just 3 minutes from box to bed with no additional tools required. Once set up, you can confirm with a quick glance at the SecureTech indicator that everything is locked into the proper position. Solid steel construction,19 gauge steel plate housing, 11 gauge steel plate door, floor or wall mount. Concealed, tamper-proof hinge, LCD display, hidden lock with two keys. Electronic combination can be programmed with codes up to 8 digits. Combination can be changed for maximum security. Electronic keypad uses four AA batteries (included). 0.3 Cubic Feet. Outside:: 8"H x 8"W x 12-1/4"D. Inside: 7-3/4"H x 5-7/8"W x 12"D. Precision cylinder protection, thousands of key changes, tough, laminated, cadmium rustproof steel case; nickel-plated shackle. Removable key- change number for added security. Pair of brass keys included with every lock. Case-hardened steel shackle. Exclusive dual steel locking levers independently lock each shackle leg for increased protection. Patented taper assures smooth vertical shackle movement and precise engagement of locking levers. Proprietary rustproofing for longer life. 1-3/4" wide case, 5/16" diameter shackle, and 3/4" wide horizontal shackle clearance. Perfect for wide doorways and open spaces. Pressure mounted - no hardware required. Stretches from 38-60? wide. Machine washable. Stain resistant protection. Includes drawstring storage and carry bag. 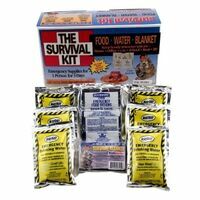 Ready America Emergency Kit, 4 Person, 3 Day, Series: Grab 'n Go, 59 Pieces, Includes: (4) Food Bars (2400 Calorie)(5-Year Shelf Life), (4) Boxes of Water (1 Liter) (5-Year Shelf Life), (4) Emergency Ponchos, (4) Survival Blankets, (1) First-Aid Kit (107 Piece), (4) Emergency Lightsticks (12-hr), (8) Nitrile Gloves , (4) Disposable Dust Masks, Red "Tough-Cut" octagonal boron-carbide shackle. Dual ball bearing locking for maximum pry resistance. Stainless steel construction and covered keyway for weather protection. Reinforced body bumper for scratch resistance. 3-1/8" wide case, 14/32" shackle diameter, and 1-7/32" horizontal shackle clearance. Laminated steel bodies and hardened boron alloy shackle for strength and cut resistance. 4-pin cylinder prevents picking and dual locking levers for extra pry resistance. Proprietary rustproofing for longer life. 2" wide case, 3/8" diameter shackle, and 15/16" wide horizontal shackle clearance. Magnetic locking system helps keep household cabinets and drawers closed to toddlers. 100 percent concealed. Includes 4 lock assemblies and 1 key. Ideal for cabinets and drawers that are off-limits to children. Large electronic digital safe with shelf. Codes up to 8 digits, solid steel construction with durable powder coating finish. Dimensions: external, 11-13/16" height x 15" width x 11-13/16" depth, internal 11-9/16" height x 14-3/4" width x 9-3/16" depth. Safe is neither fire safe nor water proof.